Instagram can often be the source of a lot of angst. On one hand, it is filled with so much inspirational and aspirational content which can be so empowering, and on the other, it just feels like a game of “Who’s life is better” and you’re always losing. At the start of this year I decided to be a ruthless curator of my own happiness. I decided that I needed to stop and look at who I allowed into my feed because I was essentially allowing these people into my life. 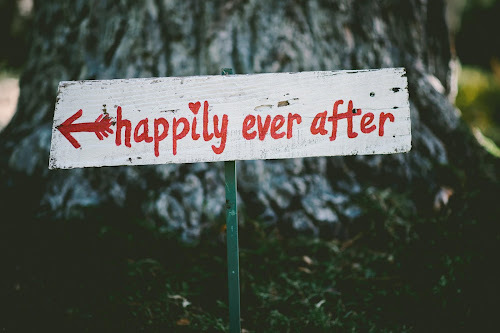 The digital clutter that comes with social media is often put down as “not real life” but even so, it can have a profound effect on our happiness. Because of this, I decided to unfollow and unfriend a whole whack of people. In some cases, the people I let go of were only “online friends” (what a crazy concept) and in other cases, they were people I knew in real life, and just could not stand to see their updates anymore (this didn’t mean that I no longer wanted to be friends with them, I think you can like a person IRL but not like who they are online? I’m not sure, this is something I am still working through). Anyway, after this purge, I felt like my feeds were naked. 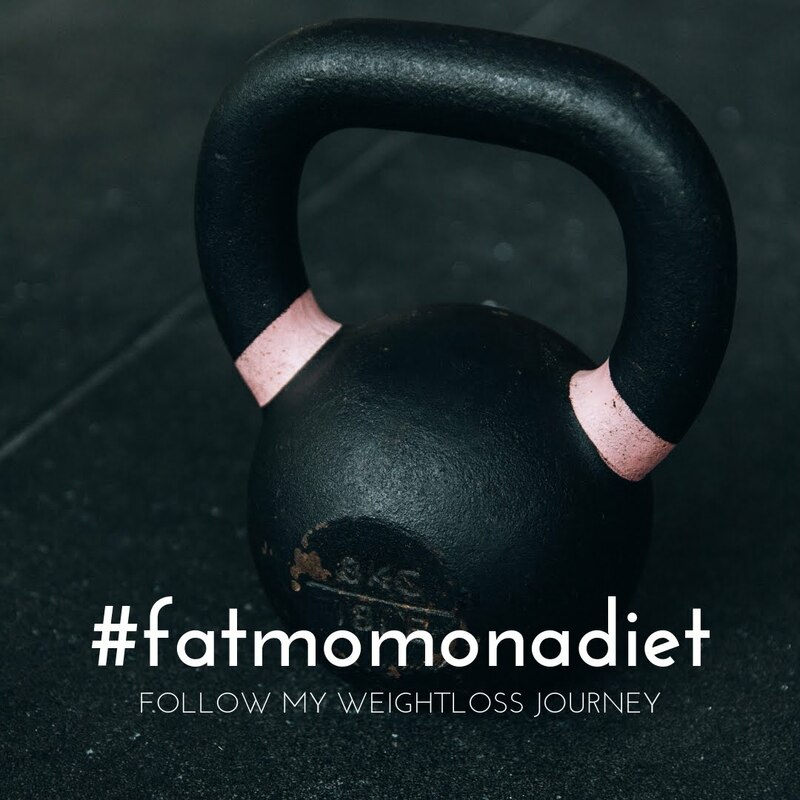 I needed to branch out and find those people who were going to inspire me to be a better mom, a better friend, a better partner… Of course there are tons of very well known local accounts that I could mention in this post, but I am going to assume you already know about those. These moms are special because when I see their posts I feel a smile blooming in my heart. They write honestly, they share passionately and they are, each of them, absolute champions of motherhood. Maybe there are one or two here you have not heard of yet? I would encourage you to follow each of these amazing women. Now they may not all be bloggers, but I promise, they all have something to say. Keratilwe is a Pretoria-based mom to two gorgeous littles. 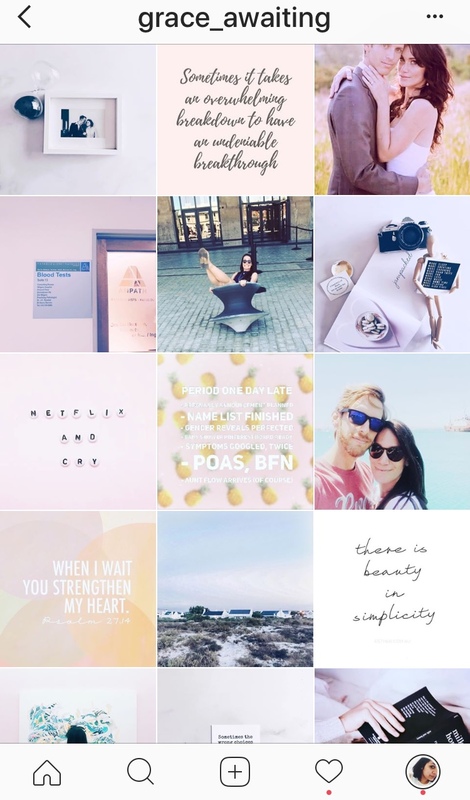 Her feed is light, bright and so stylish. 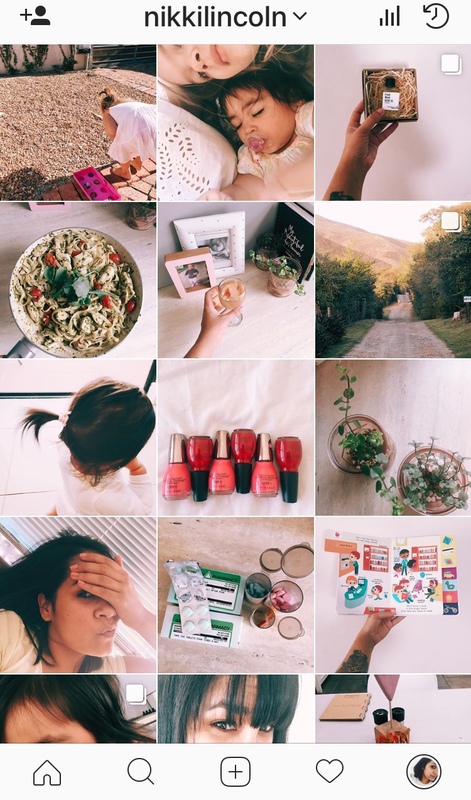 Her kids are so trendy and she offers beautifully curated glimpses into motherhood. I recently started following Roberta and I am so glad I found her account and blog. 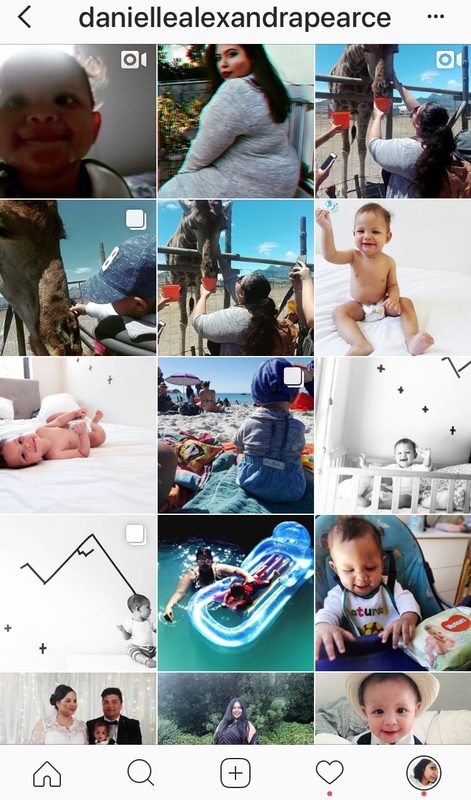 Roberta is a Cape Town-based mom to two gorgeous little ones, the youngest of which, Daniel is currently relaxing and growing up a storm in the NICU. 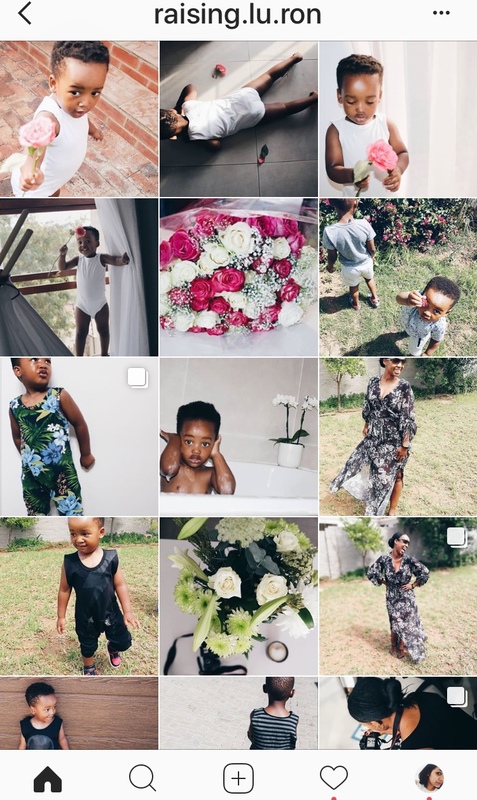 Her feed is beautiful and oh-so Cape Town. I mean look at that mountain view and those sea side huts! Not to be dramatic or anything, but Kim is basically my soul sister. I have only known her for about 5 years but I feel like I have known her my whole life. She is a wonderful, kind, considerate and loving person. She is a champion for other women. 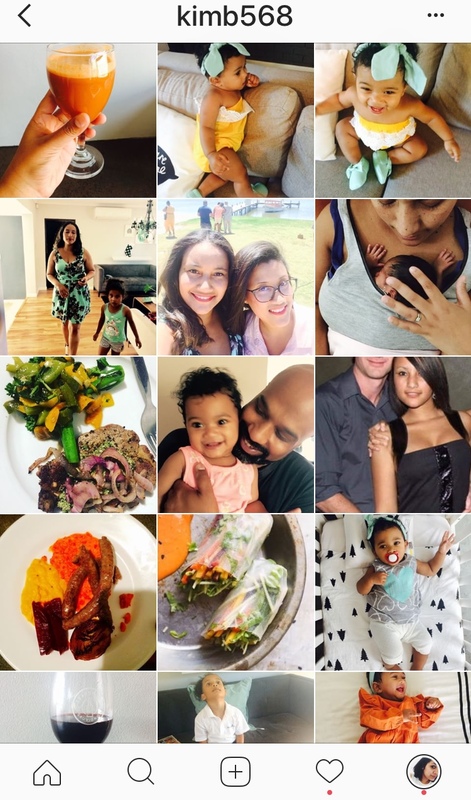 Her feed is littered with snaps of her two gorgeous girls, delicious food and decor. She's also a fairly new mom blogger, so when you head over to Instagram to follow her, be sure to check out her blog too. She is a wonderful writer. Oh man, this gorgeous girl with the growing belly is hands down one of my absolute favourite people on the internet. Elle is gorgeous and funny and her feed is a dream of beautiful beaches, loving mom moments and full-on family. I've never met Sam. But I feel like she's my friend. Is that weird? I don't care. If you quickly scroll past Sam's bio and just look at her pics, what you will see is a woman who clearly loves her family. 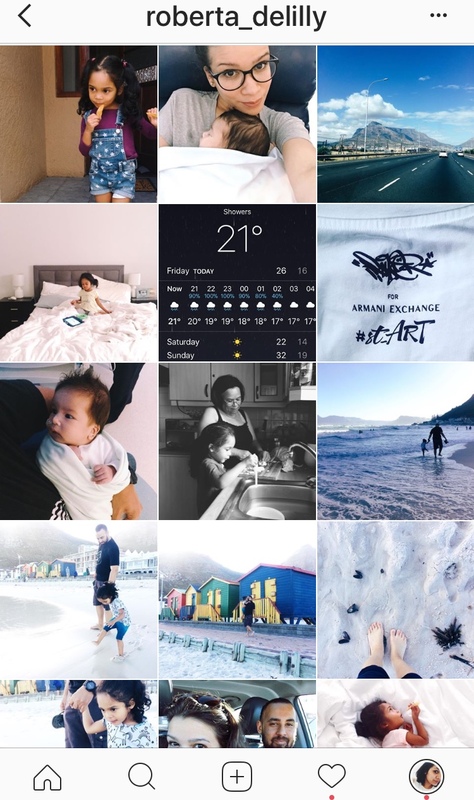 Her feed comes across as a collection of treasured family moments and there is just so much love visible in each and every picture. Danielle is amazing. 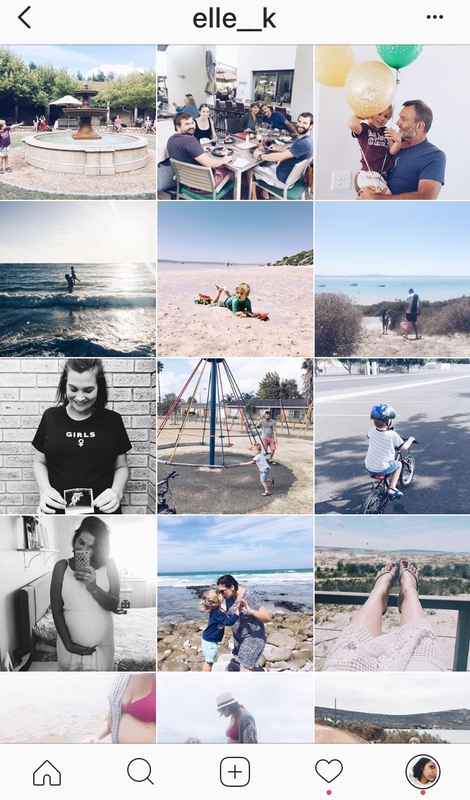 She is an absolute champion of the body positive movement and her feed is a clear indication of that. In addition to posting fierce outfit posts, Danielle also shares a lot of her motherhood journey. She has one gorgeous little boy. All the best people are called Nicole, this is a fact. And this Nicole is no different. 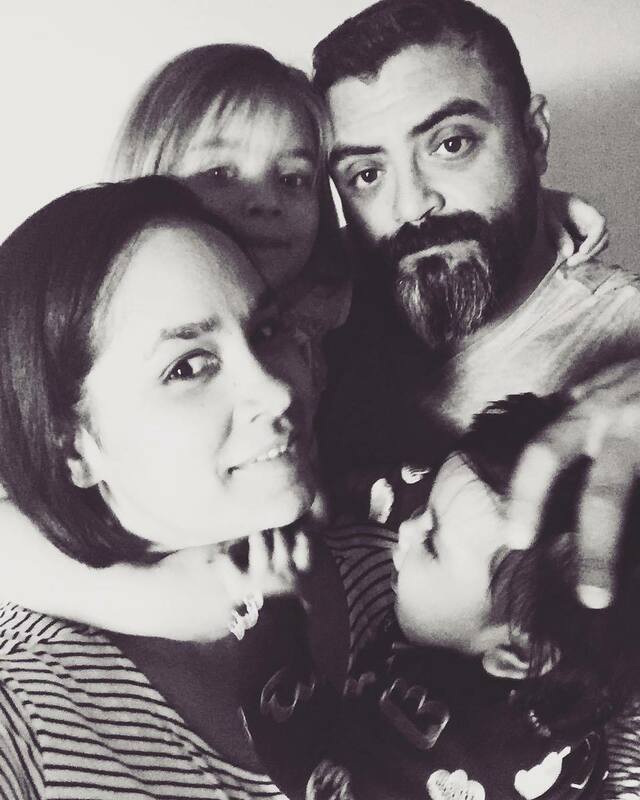 She is a Cape Town-based mom to two little ones, she is a blogger, book lover and all round wonder-mum. 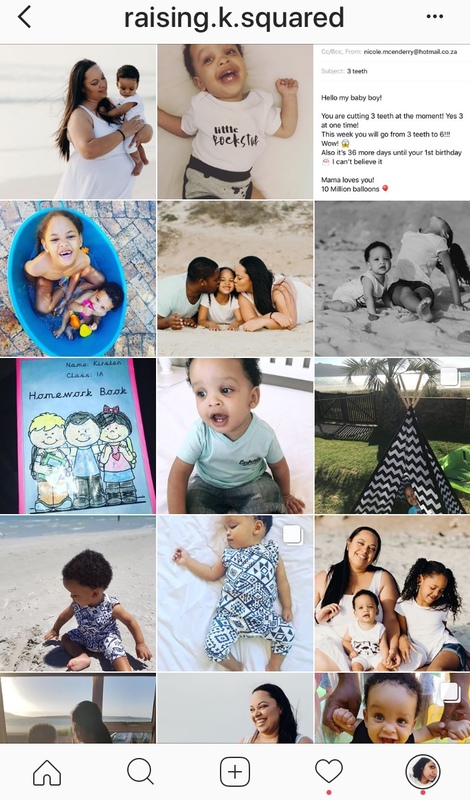 I love her feed because like so many of the moms I've featured in this post, it's all about family. As I start to type this I have tears welling up in my eyes. Genevieve aka Grace's story is one of the hardest ones to confront, being a mom is so much much more than having a baby and Grace's blog is proof of this. Here is a mother who is holding the seed of life in her heart, waiting patiently for it to manifest in her womb. Her struggles with infertility are heartbreaking, but her unwavering faith in God's plan for her life is incredibly inspiring. Her blog is one of my absolute favourites because she writes so openly about her faith. Please go and read and follow if you haven't yet. And when you're saying your prayers tonight, say an extra one for Grace. Chantal Dewolf is a mom of twin girls: Avalon Robin and Harper Grace – a.k.a The Twincesses. That in itself, makes her the self-appointed Queen of her household. She regally clothes herself in sweatpants and stained T-shirts…her crown is an unwashed ponytail. 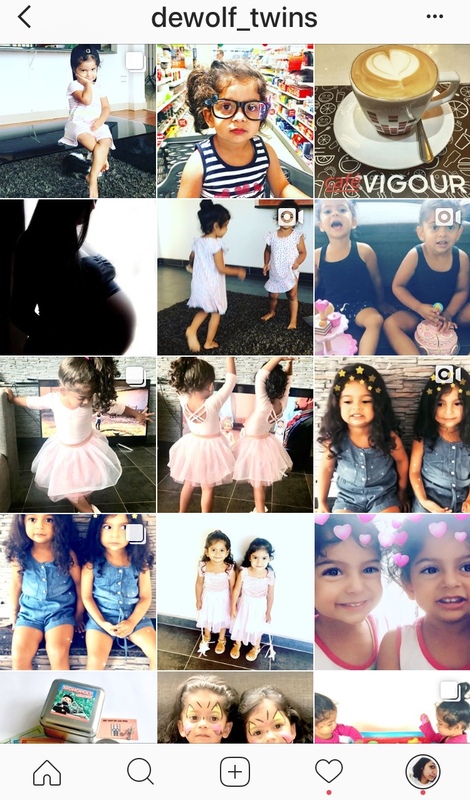 Chantal's feed is filled with pictures of her gorgeous girls, who just make twinning look absolutely adorable and effortless. Ok this is pretty shameless of me, I know, but lastly, you should be following me. Why? Well because my kids are cute and sometimes I post long rambling captions that may just resonate with you! 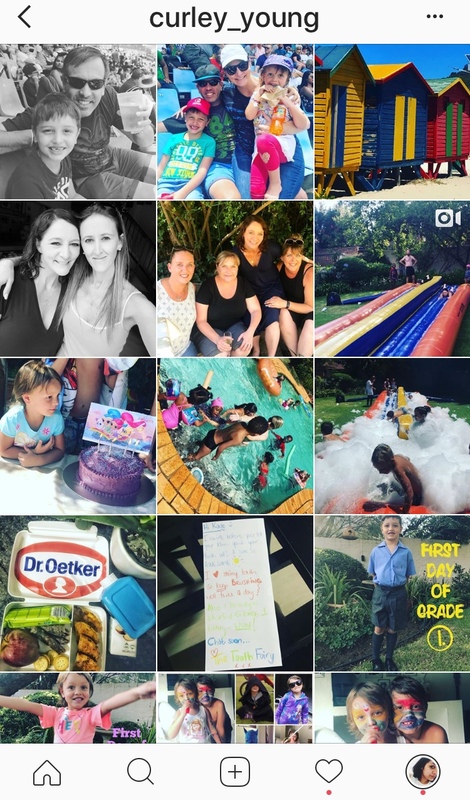 Who are your favourite Instagram moms? Maybe pop over to Instagram right now and give them a shoutout!